Editor’s note: This post was originally published in August 2017 on UF/IFAS News. 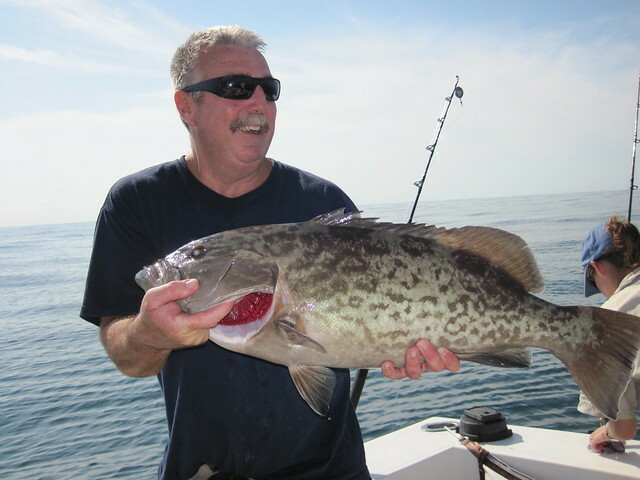 Additional content and photos have been supplied by Florida Sea Grant. Fisheries managers will soon be able to make more informed decisions about commercial and recreational fishing in the Gulf of Mexico, thanks to a team of scientists led by a Florida Sea Grant researcher with the University of Florida Institute of Food and Agricultural Sciences. The National Oceanic and Atmospheric Association recently announced that the UF-led team will receive a $1.1 million grant as part of the NOAA RESTORE Act Science Program, which is funded partly from penalties resulting from the Deepwater Horizon oil spill. Fifteen projects received awards totaling $16.7 million. The team aims to improve ecosystem models in the Gulf that will allow fisheries managers to understand how environmental change affects valuable fish populations and how their decisions impact other species, said David Chagaris, the project’s lead investigator and a Florida Sea Grant fisheries affiliate based at the UF/IFAS Nature Coast Biological Station. An ecosystem model is a computer representation of all the forces that influence an ecosystem. These forces include factors such as competition among species for food, as well as environmental conditions, such as water temperature and salinity. These new models, which will be developed with input from current fishery managers, would provide more detailed information to guide management decisions than the current technologies available, Chagaris explained. To test their models, the research team will apply them to two important species managed in the Gulf of Mexico — Gulf menhaden and gag grouper. Development and testing will take place over the next three years. The project’s co-investigators include researchers from NOAA, George Mason University, and UF. Florida Sea Grant and the UF/IFAS Nature Coast Biological Station work collaboratively on research and outreach opportunities associated with sustainable development of the coastal resources unique to Florida’s Big Bend region and the communities they support.